Now for the card, the colour is one of the new 5 in colours, it's called Sweet Sugarplum, love the name!! 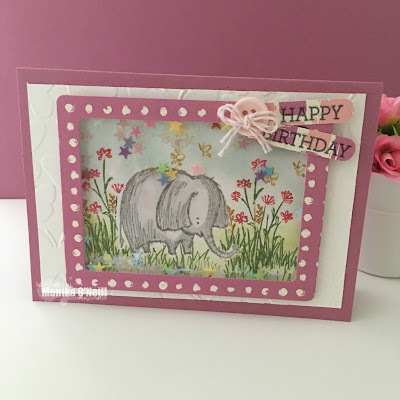 I used the elephant stamp from this set and for for the flowers I used In The Meadows stamp set and used copic markers to colour in and assorted coloured sequins. 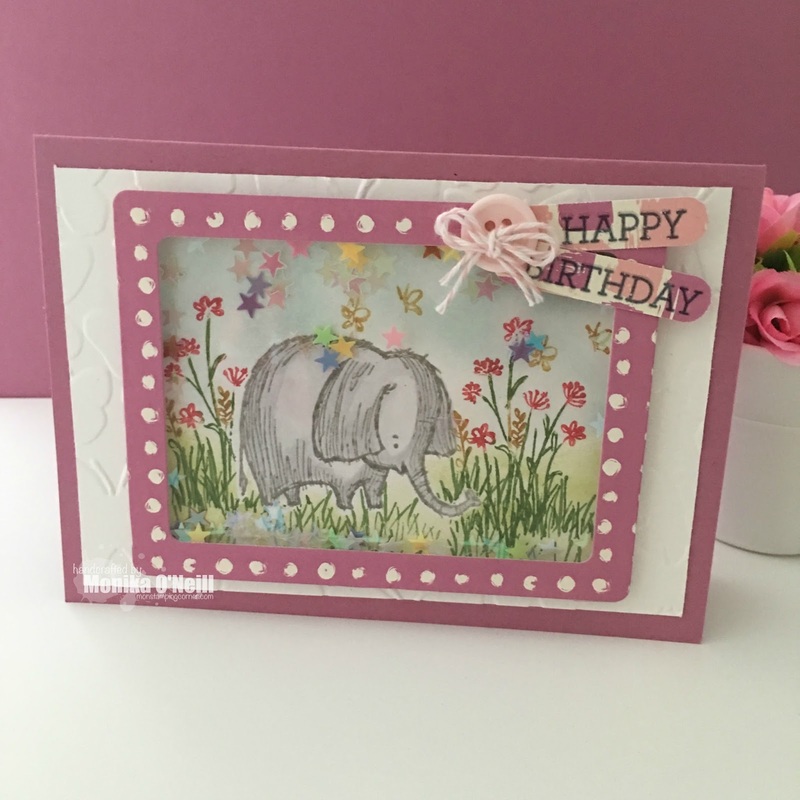 The Whisper White mat I used the Fluttering Embossing folder. To make the shaker I used the new Foam Adhesive strips and Window Sheets, to finish off I used a pale pink button and blushing bride bakers twine. I will list the products below for you.